A Central African Republic soccer executive and alleged militia leader was transferred by France to the International Criminal Court on Wednesday. Patrice-Edouard Ngaissona was held on an ICC arrest warrant on December 12 and a French court authorised his hand over to the ICC late last month. 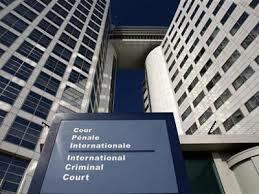 The ICC is investigating crimes committed by all parties in the conflict. In November, Alfred Yekatom, another leader of the anti-balaka militia and a sitting member of the country’s parliament, was handed to the ICC.